125 Bag Assortment of Lipstick Pink Shadow Stripe Shopping Bags are made from 50% recycled paper. Produced with water based inks and glues. 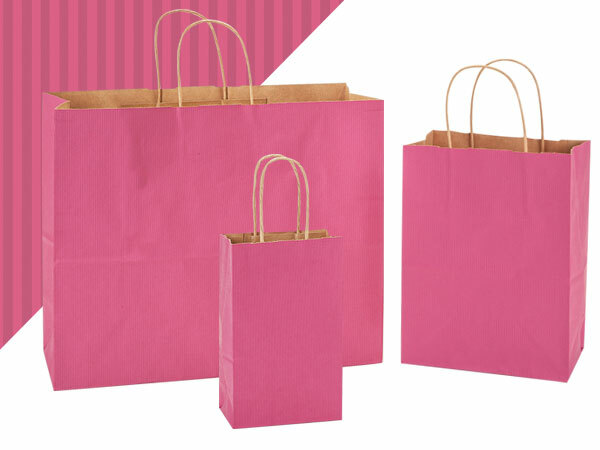 Assortments consists of 25 Rose, 50 Cub, 25 Vogue, 25 Queen size bags. Made in the USA.